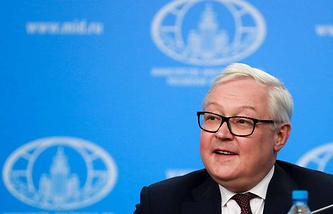 The diplomat described the situation in general as "a very unfortunate attempt to interfere in the politics of a sovereign country"
UN, February 13. /TASS/. 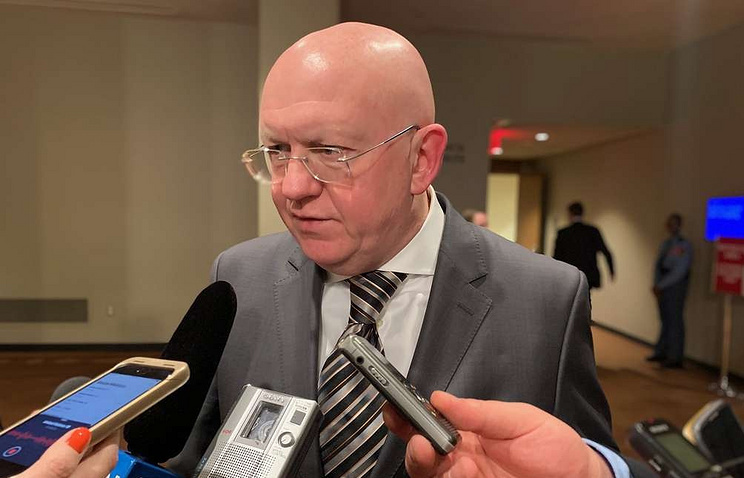 Russia’s UN envoy, Vasily Nebenzya, has described the draft UN Security Council resolution on Venezuela as "completely unbalanced." "It is completely unbalanced," the diplomat told reporters on Tuesday. He described the current situation in general as "a very unfortunate attempt to interfere in the politics of a sovereign country." The draft resolution, obtained by TASS, contains a call for presidential elections in the country. In response, Moscow has prepared its own variant calling for dialogue. Both documents are now being considered by experts and are yet to be put forward before the UN Security Council. On January 23, opposition leader Juan Guaido, whose appointment as parliamentary speaker had been annulled by the Supreme Court two days earlier, declared himself as acting president. On the same day, Washington recognized him as acting head of state, as did the Lima Group countries (barring Mexico), the Organization of American States, and a number of other nations among them, Australia, Albania, Georgia and Israel. President Nicolas Maduro described the developments as an attempted coup. In contrast, Russia, Belarus, Bolivia, Iran, China, Cuba, Nicaragua, El Salvador and Turkey came out in Maduro’s support. The UN secretary-general urged a dialogue for resolving the crisis.